Because self-defense is the primary reason Americans buy guns, including a million AR-15s every year, here are, I believe, the top 10 characteristics of AR-15s configured for defensive purposes and the top 10 components they should have. All told, more Americans have fired more rounds from more AR-15s for personal defense, defensive firearm training, marksmanship competitions, individual practice, and hunting than from any other rifle. For that reason, the AR-15 is the primary firearm upon which Americans would rely if they had to fight for freedom today. Jeff Greene, a Florida gubernatorial candidate, accused the National Rifle Association of turning “our kids into targets” in a striking new advertisement. 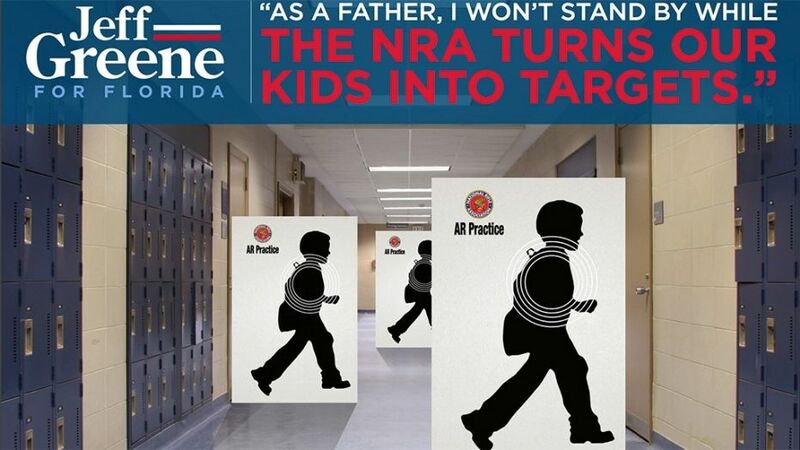 “As a father, I won’t stand by while the NRA turns our kids into targets,” a mailer, released Tuesday, says in bold letters atop an image of outlined children with backpacks as shooting targets. The fake targets say “AR Practice” and have the logo of the gun rights organization. The Supreme Court has refused to hear “assault weapon” cases in the past. However, previous cases were lower profile and the result of narrow readings, not the backwards interpretation exhibited in Kolbe. In its bravado, the Fourth Circuit may have crossed a bridge too far, sparking national debate and possibly forcing the issue to finally make it to the Supreme Court. The Kolbe court justified their holding through a misplaced reliance on Heller’s discussion of weapons not protected by the Second Amendment: “dangerous and unusual weapons” and those “most useful in military service – M-16 rifles and the like.” This reliance was completely out of context, most obviously because the M-16 and its stablemates are machine guns, not in common lawful use by civilians anywhere. This is a far cry from the pedestrian semi-automatic weapons Maryland actually targeted. Tactical Solutions has several new models for 2015. Check them out here. The machine announced by Defense Distributed accepts all mil-spec lowers. Simply drop in your lower and use the software to finish it. No machining skills required. Shadow Ops Weaponry is offering one of the most customizable AR lowers.